The meaning of the term “infant” is obvious, but it is not absolutely precise all the same. The reason for that is nature of language itself. However, a precise definition is not needed for our purposes. An infant car seat is a rear-facing car seat. It should be used until the child outgrows it. Get the best infant car seat 2017, only then can you be sure it meets all the standards. Infant seats are unique even though they share similarities with forward-facing seats. However, even though some of them are convertible and can be used as toddler seats and boosters, it is the way they function that is important. Unlike any other car seat, it is not the harness that keeps the baby safe in the event of a frontal collision. Restraining them with the harness is only a secondary measure, as the seat’s back takes the brunt of an impact. The reason rear-facing car seats even exist is that children’s bones are not resilient enough. Use of infant seats decreases the rate of fatal injuries by 71%, according to the CDC’s data. Allowing a baby to ride unbelted is dangerous, as is the premature use of boosters and forward-facing car seats. It should be noted that infants are very easy to injure, including by the harness of a forward-facing seat. The difference between rear-facing and forward facing car seats’ performances is evident in the following crash test video. Use of child car seats is critical for the child’s safety. According to the American Academy of Pediatrics, a rear-facing car seat is to be used until the child is at least two years old or, perhaps, until they reach the maximum height and weight for their seat. It should be noted that some seats can be used for longer than that, able to accommodate children older than 2 years old by a large margin. Some institutions may issue different age limits. In the end, those are only guidelines. Nevertheless, rear-facing seat use is recommended for as long as possible, and the notion is accepted universally. Although most of the time there is no need for a rear-facing seat anymore once the child is two, sometimes it is possible to use the seat even after the limit has been hit. A convertible seat can be used in two or even three modes: as a rear-facing seat, as a forward-facing seat, and as a booster. Because of that, the effective life cycle of a car seat is extended. What is the best small infant car seat? The answer to this question really depends on what exactly people mean, what you mean. If by “small infant” you mean a baby very young of age, then the best recommendation would be a car seat for infants or a convertible car seat. But if you really mean underweight or premature babies, then a car seat is not an option at all. At least, not a typical car seat. The best choice for small fragile babies is a baby car bed. A reclined position might be a little bit too hazardous for children with health issues. The Embrace LX is a good car seat to consider if you have a limited budget. This seat can be afforded for a very moderate sum. It is not a convertible seat and it can only be used for infants. Once the child is over the weight and height limit, use of a toddler seat is required instead. Please keep in mind that while a rear-facing seat is the safest solution, it is only safe as long as the child’s head is not even an inch higher than the headrest. Despite being cheap, the Embrace LX meets all the requirements a car seat for infants is supposed to meet. 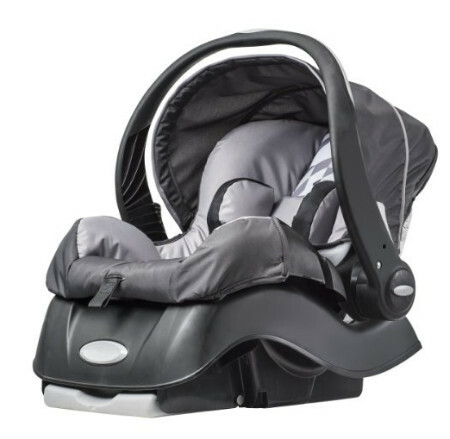 It is lightweight, estimated to be 25% lighter than other car seats of the same type, and very comfortable for the child, as it comes with a head pillow and pivoting canopy. The Embrace LX is considered a safe option for low birth weight babies. The seat can be used with and without a car seat base. However, it is nearly impossible to adjust the tilt without one. The headrest might be too floppy for your liking. Use of a body snuggler might be necessary to compensate that. The main advantage of this seat is its low price. Other than that, it is also recognized by Safety Advocates as a safe seat for low birth weight babies. 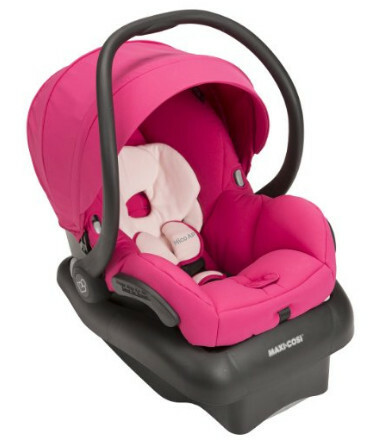 The Mico AP is perfect car seat to choose if your intention is to build a car seat travel system. 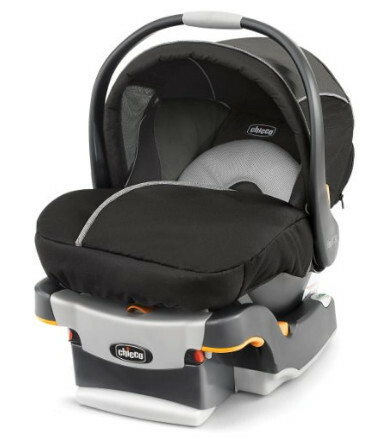 It is compatible with MaxiCosi and other premium strollers. 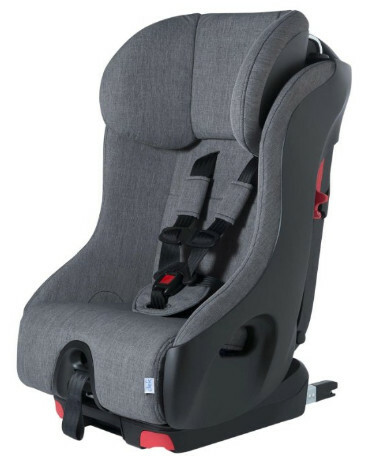 The seat is very lightweight, easily the lightest car seat in this class, and it is equipped with self-wicking fabrics for deodorization and keeping the child dry during the ride. Moreover, its features are not limited to that. The seat can accommodate children between 5 and 22 lbs provided they are not taller than 29 inches. While long, the Mico AP is a narrow seat. Great in terms of safety, it might not be just as comfortable as some other seats since the child would have little space to move their shoulders. What matters most is that the seat is constructed with advanced Air Protect side impact technology. The most protected zone is around the baby’s head. The seat comes with an adjustable base with LATCH, although it can be installed without one. For the child’s comfort and parents’ convenience, the seat is equipped with an ergonomic handle and a multi-position sun canopy. The seat pad is easy to remove, undoing the harness is unnecessary for that. The seat’s main advantage is that it is extremely safe. It can also be equipped with a number of accessories. The Mico AP is not a cheap seat but it might be not very comfortable for some children because of how narrow it is. 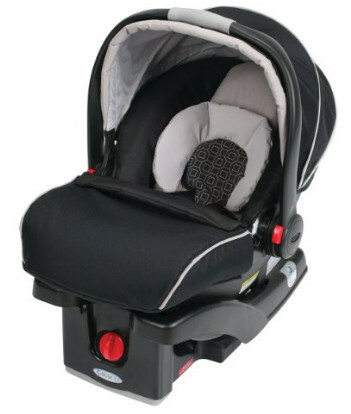 The SnugRide Click Connect 35 is compatible with the Graco SnugRide Click Connect 30/35 LX Infant Car Seat Base. That allows to attach and detach the car seat instantly. It is also compatible with Graco strollers. As such, the SnugRide 35 is a good car seat to construct a travel system. In fact, one of the recommended components for a custom Graco car seat system is this very seat. The seat is extremely lightweight. It can accommodate babies between 4 and 35 lbs, as long as they are not taller than 32 inches. It can be easily clicked onto a car seat base, a stroller, or it can be carried in hands instead. The seat is strictly rear-facing. The energy absorbing foam makes the seat feel somewhat firm for the child. However, it is a low price where safety is concerned. As for convenience and comfort, the car seat is equipped with a sun canopy and a stay-in-car base with LATCH for easy installation. The removable headrest will be appreciated as the child grows up. The main feature of the seat is that it is equipped with Click Connect technology. Thanks to that, assembling a car seat travel system is very easy to accomplish. It does not require too much time either, as only a single click is all that is necessary. The seat is very safe regardless and its price is below average. Safety is not the only thing the Keyfit 30 Magic could be proud of. It is also extremely comfortable for the child. It is padded with luxurious upholstery fabrics. The seat also comes with an infant insert, which is a reversible cozy suede mesh. It has a large canopy with an extendable mesh panel for breathability. The ergonomically designed handle is comfortable for parents to carry and easy to grip. The seat is designed to accommodate children between 4 and 30 lbs. The infant insert is to be used for smaller babies 4 and 11 lbs. It also has some additional features that employ unique technologies, such as the ReclineSure, RideRight, and SuperCinch – a spring loading system capable of providing a fit in many cars, bubble level indicators for seat angle indication, and a LATCH-tightener for secure fastening respectively. The seat’s main advantage is the luxury and comfort features. It is not very expensive, although not very cheap either. The price is above average. The safety features are not lacking. The seat can be easily installed and perfectly secured in several moves. However, it is the convenience for the parents and comfort for the child that makes the price. The Foonf is a convertible seat from Clek. There is no doubt that it is one of the safest car seats in the world. It can be used in two modes: rear-facing mode and forward-facing mode, like most convertibles seats. However, unlike most other car seats, this one can be used in rear-facing mode until the child is 4 years old rather than 2. Even though the official institutions require that infant car seats are used until the child is 2 years old, that is the minimum limit. While the use of a rear-facing seat is not required after two years old, it certainly is beneficial as rear-facing orientation is inherently safer than forward-facing. Other safety features include a steel and magnesium frame and anti-rebound bar. The formed makes the seat as a whole more damage-resistant and rigid. The latter increases its stability and limits the rotation. Unlike many car seats, the Foonf seat is rather expensive. But the price is completely justified. Unlike most other car seats where it is the luxury that makes the price, the Foonf seat is above all a safe car seat. Most of its features enhance the safety of the child.